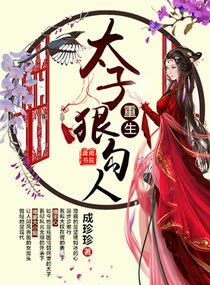 The Captivating Crown Prince —full title The Rebirth of the Captivating Crown Prince— is a completed novel written by 成珍珍. It consists of 355 chapters and is a genuine reverse-harem novel with a total of 5 male leads. Before, she was the eldest miss of the Shang family; a modern age demoness, who struck fear into people’s hearts. Hidden under her timeless, picturesque appearance was a heart as cold as ice. Now, she is the cowardly and gravely ill crown prince, Shang Wuxin. Just as the cowardly Shang Wuxin died, the body welcomed a brand new soul—Shang Wuxin (heartless). Heartless, ruthless, and cruel like a devil. When she changes into her, when cowardice changes to cruelty, when ignorance changes to wisdom, when kindness turns into bloodshed, whose eyes has this kind of woman caught? Whose heart has she stolen? When she stands at the peak, who will come and hold her hand to end her loneliness and desolation? *Chapters 1-20 were translated by GirlyNovels while chapters 21-27 were translated by Vin. Chapter 28 was translated 50/50 by Vin and GirlyNovels. Thanks for translating!! Can I have a timeframe for your updates? So I know when to check back! The Chinese name of the novel (right below the title on the project page) will take you to the raws. This story is good, so I hope you guys would continue to translate this until its end. Many people are looking forward to this series. Thanks for all the hard work! Hi. Is there a schedule to the updates? And thanks for the time and hard work, that you put in the translations. Did they give up on this novel?? I really was enjoying reading this story ? Whyyyyyyy!!!!???????????? ?isn’t there any new chapter so far. I have waited for a month!!!! There’s something wrong with the links to chapters 2-8. Thanks so much for all the hard work!! !